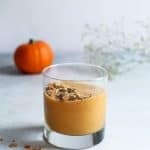 A Chai Pumpkin Protein Smoothie! 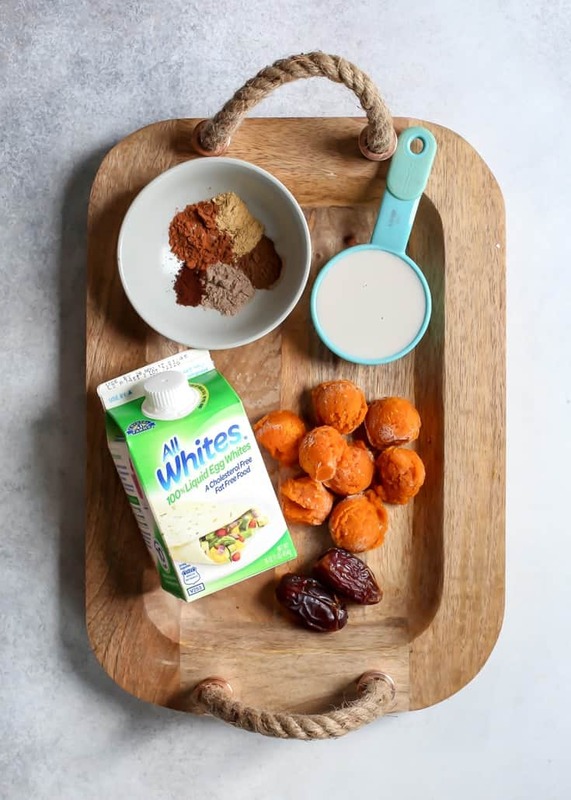 Using AllWhites® 100% liquid egg whites and zero protein powder, this festive protein smoothie has a healthy balance of complex carbs, fats and protein. No bananas used here either! Dairy-free, paleo, no added sugars and Whole30 compliant. This post is sponsored in partnership with AllWhites® 100% liquid egg whites. All opinions expressed, as always, are my own. 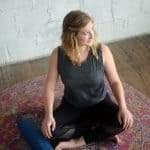 Thank you for your support as I continue to partner with brands that help make Fit Mitten Kitchen possible! WELCOME, PUMPKIN! 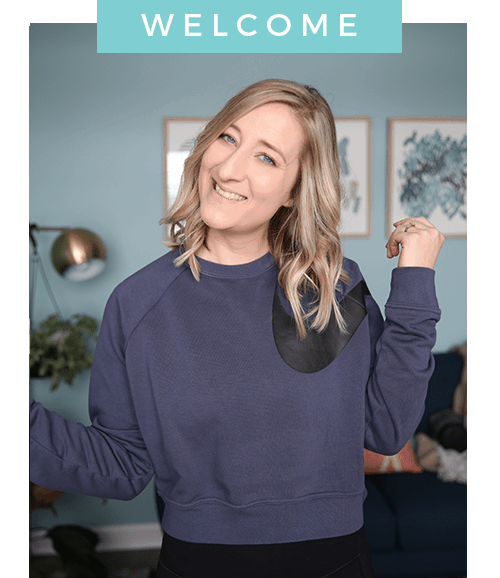 I mean, October 😀 Even though the pumpkin madness already started in September, I think you can expect even more pumpkin recipes this month from the blogosphere. I actually think I did an alright job at not going *too* pumpkin crazy during September… I also didn’t want you or me to get sick of pumpkin too early on in the season. Is that even possible? Probably not. But back to it being October… It’s crazy, right? Will time ever slow down? Is this what happens as you age? The weeks and months just keep going by faster and faster, until all of the sudden you wake up and it’s 2023? Anyways, just wanted to take some time to share those thoughts with you. Hopefully it gives you something to think about and make October a great month! Smoothies are definitely an any season kind of thing for a lot of people – cold weather or warm weather, smoothies are just easy fuel! 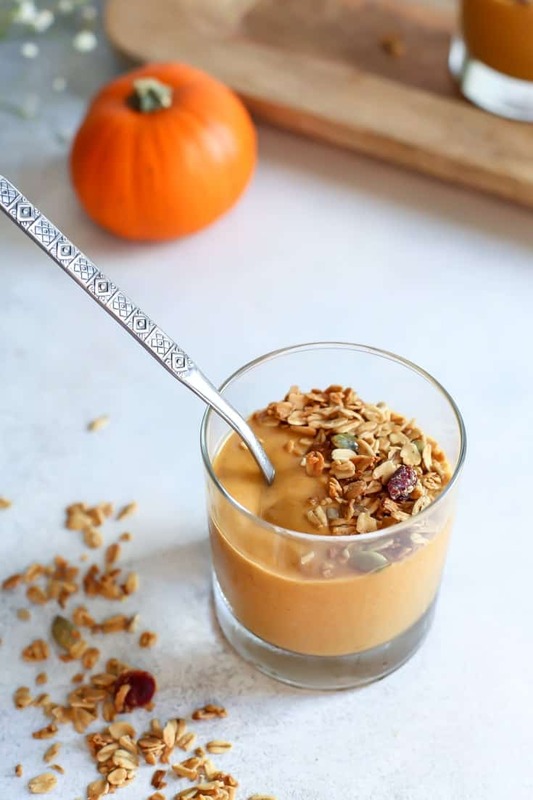 So I decided it was time to bring you a fall smoothie: Chai Pumpkin Protein Smoothie. This protein smoothie has a great amount of protein, but we’re not actually using any type of protein powder. Instead, we’re getting our protein from AllWhites® 100% liquid egg whites. Don’t worry, it is 100% safe to consume these liquid egg whites, as they have been pasteurized for safety. You can’t taste it either. Why AllWhites® 100% liquid egg whites versus protein powder? Frozen pumpkin versus fresh – I used canned pumpkin here, but scooped out little round tablespoon balls to freeze for smoothies. You can use fresh but see the recipe page for notes regarding liquid. Thickness – Everyone likes their smoothies a different consistency. I usually prefer mine pretty thick. 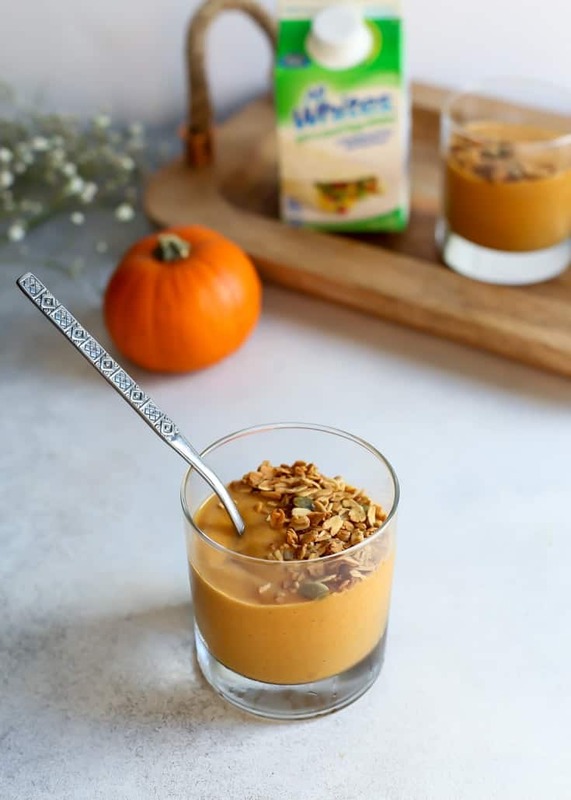 If using frozen pumpkin, you will likely need 2/3 cup to a full cup of milk to blend the smoothie. If using fresh pumpkin, you may only need a half cup of liquid. Just note that the amount of liquid you will use will be affected by whether or not you use frozen or fresh (canned) pumpkin purée. Sweetener – I opted for Medjool dates here for a natural sweetener. You can also use 1/2 a banana, maple syrup, agave or honey. I’d suggest maybe 1/2 tablespoon of a liquid sweetener per serving, but adjust to your tastebuds. Chai Pumpkin Pie Spices – Just a simple blend of pumpkin pie spice + cardamom. This Chai Pumpkin Protein Smoothie would be the best way to kick off your day – basically like a chai spiced pumpkin pie in a glass, and healthy. Place all ingredients into blender cup starting with AllWhites® 100% liquid egg whites, ending with cashew milk. See notes below regarding frozen pumpkin versus fresh and amount of milk needed. 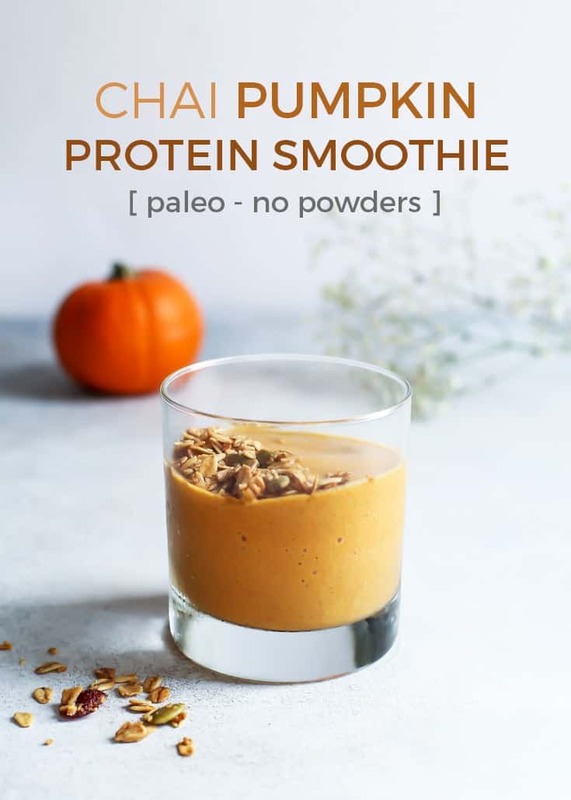 Transfer pumpkin protein smoothie into cup or travel mug, enjoy! *I had scooped some canned pumpkin into little balls for smoothies, which helps make the smoothie thicker with no ice. 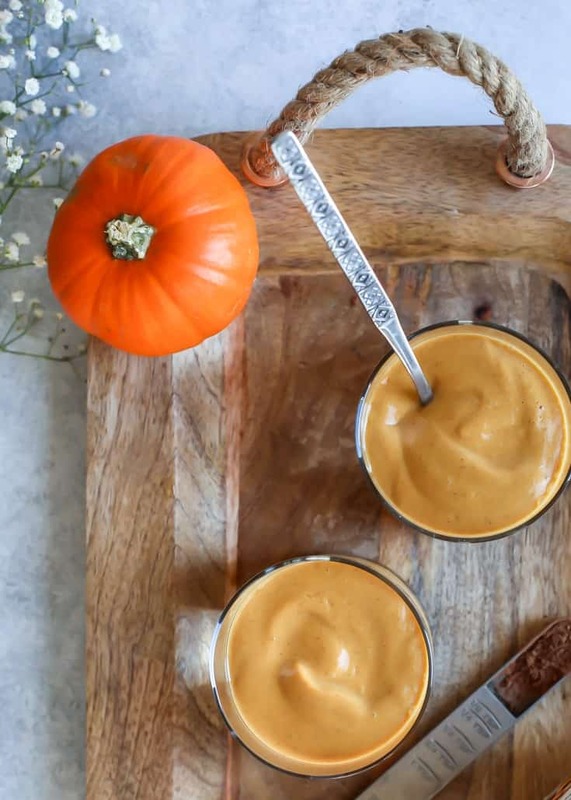 You can also use fresh pumpkin puree/canned pumpkin. Add ice and just liquid. ***Adjust milk according to desired consistency. Adding more milk with the ingredients as listed will get you a thinner smoothie. If not using frozen pumpkin, you may want less liquid. It looks like pumpkin liquid silk; it’s sooo pretty! I could go for a cup of this smoothie. Girl, this looks amazing and I love that it’s packed with protein and doesn’t require powder. I’m not even that into pumpkin this year, but I still want this. If the Whole30 dragon gets crazy on me, I’m throwing this in my blender stat!